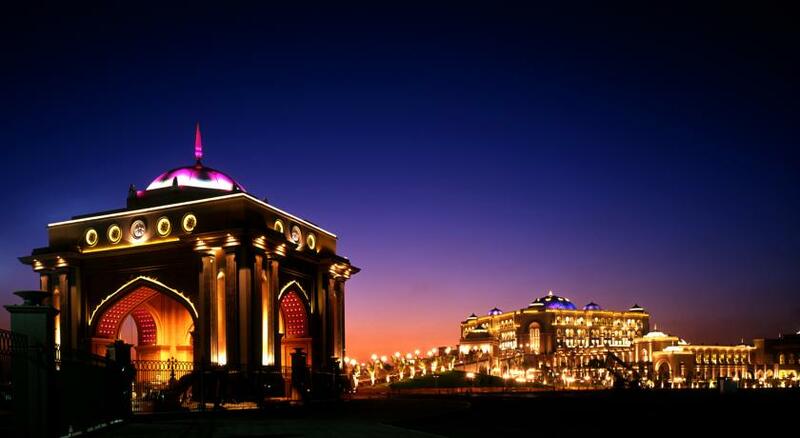 The Emirates Palace is a seven star luxury hotel in Abu Dhabi, United Arab Emirates. Emirates Palace is located on 1.3 km of private beach and surrounded by 85 hectares of gardens, with 114 domes that are 80 meters high. It is a 30 minute drive from Abu Dhabi airport and 1.5 hours drive from Dubai airport. The building was designed by architect, John Elliott RIBA, who was Senior Vice President at Wimberly, Allison, Tong and Goo, (WATG) an international firm specialising in Luxury Hotels. It opened in November 2005 but certain restaurants and spas did not open until 2006. The hotel was built by and is owned by the Abu Dhabi government, and is currently managed by the Kempinski Group. The costs to build the hotel were 3.9 billion GBP or 11.02 billion AED or about 6 billion USD. The Emirates Palace occupies 850,000m² of floor space. Underground parking allows housing for 2,500 vehicles. There are two swimming pools and spas. The hotel has its own marina and helipad. The Emirates Palace is the second most expensive hotel ever built, only surpassed by Marina Bay Sands in Singapore.